While we’re primarily supported by a mixture of Patreon, Twitch subscriptions and Amazon referrals these days, site sponsors go a long way in making up for the funding shortfalls of our Patreon never reaching its goal. To show our appreciation, we are now publishing these posts thanking our sponsors each week- Both to give them a little extra visibility and hopefully to get readers who love TouchArcade to give their games a look to similarly support their efforts in allowing us to continue to provide everyone with awesome third party mobile games editorial which the App Store ecosystem badly needs. Running ads in our second story spot on the front page is Gamesture who is promoting their turn-based RPG Questland (Free). It launched in late August, and people seem to really dig it on our forums. Like so many games now, it has a friend code sharing system, so if you get into the game and want some free gems and keys be sure to swing by this thread where you can find a bunch of codes and even post your own. A new entry in our sidebar rotation is from Bitty Blip for Connectron (Free). It’s a reflex-based retro-inspired arcade game of touching shapes and dragging lines to prevent orbs from exploding. There’s 21 levels in all with 10 geoshapes that must be completed on each, loads of in-game items, leaderboards, and tons more. Best of all, it’s free. Still running ads with us is Czech Games Edition who just released Through the Ages ($9.99). The best way to describe this game is like if you took Civilization, but turned it into a board game, then ported that board game to iOS devices. Folks over on Board Game Geek have loved the physical version, and things should only get better when you get rid of all the cards and game pieces and instead replace them with one easy to play app (like most complicated board games). For developers out there, give Appodeal a look. 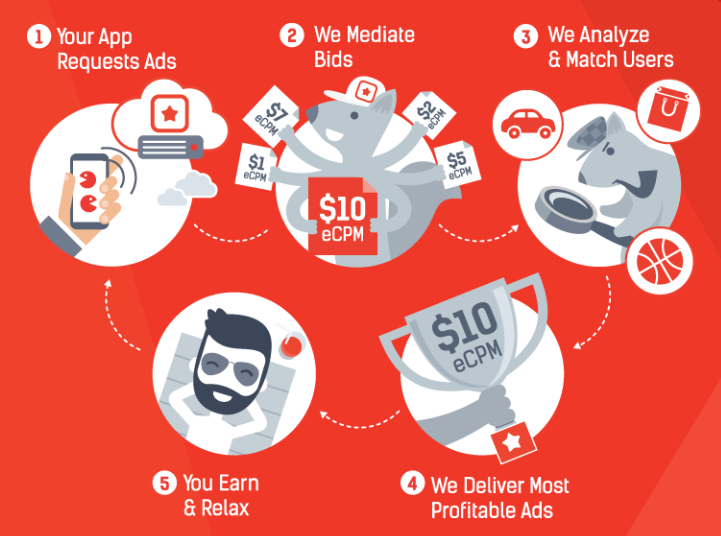 They’ve been running ads in our sidebar for a really long time now, and what they provide is a platform for intelligently serving ads using one SDK which connects to over 35 different ad networks. While I’ve never used it myself, I’ve heard horror stories from developers on what a nightmare it can be juggling all the different ad networks to display ads in game. Appodeal simplifies all that, giving you more time to work on your game instead of figuring out how to implement one more ad network. Additionally, their service is totally free to use. Ketchapp is practically a household name now, but even if you haven’t heard of Ketchapp specifically, chances are you have a few of their games on your phone. Their most recent title is Hop (Free), but Ballz (Free) and Fidget Spinner (Free) have both been glued to the top of the charts for what feels like forever. Ketchapp has been running ads in our sidebar for a super long time now, and we appreciate their continued support. Sponsoring the podcast this week is Eldritch Games for their game Deliria ($1.99). It’s a base building and defending game where you’re defending a mining colony and exploring alien worlds. Your mission is to mine up Delirium, which is this super powerful energy source and to explore the world to figure out what the heck is going on in Dimension LG7 where the game takes place, all while upgrading everything and mining as much Delirium as you can. Thanks a ton to our sponsors this week, as well as all of our community members who continue to support us. Combined, you all allow us to keep doing what we’re doing. If there’s any developers, publishers, or folks from third party services that might appeal to iOS developers who are curious about sponsorship opportunities here at TouchArcade, reach out to our ad sales manager, Marianne, at ads@toucharcade.com. We have a lot of different options which can fit any budget.